America is my favorite country. The land of the free and the home of the brave! It's an awesome place to live with so much opportunity. People come from all over the world to live in America, it's a melting pot! Today, I am thankful to live here. I am thankful that I'm free. I am thankful that I am a child of God- living in a country where I can freely worship and share my faith. As Christians, we need to remember that this is not our home. 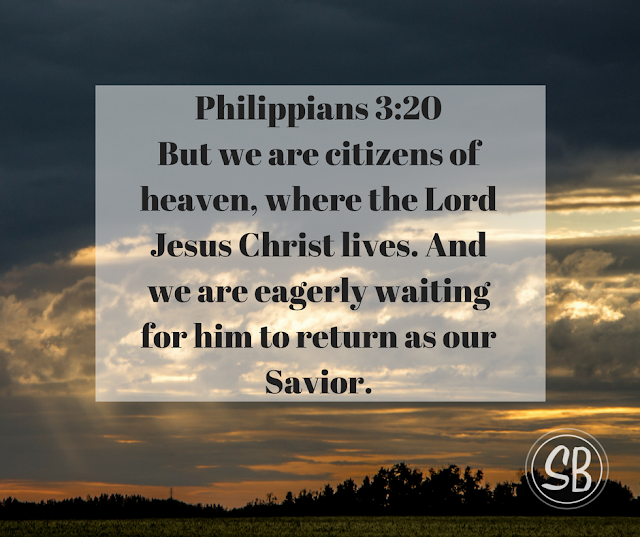 We are citizens of Heaven. America looks so good to me- but Heaven is better! Heaven is going to be exceedingly and abundantly greater than anything we can imagine. I think that America is amazing, but it doesn't even compare to Heaven, where we will spend an eternity with our Savior!